Flash Point Communications, a digital media agency, is excited to announce Monterey as their third stop on the Best of California Road Trip in the 2011 Lincoln MKX. Model/actress Vane Millon, along with Scott Empringham (President/CEO of Flash Point) and a video production crew, will arrive in Monterey this Thursday, September 30, 2010. After touring Sacramento and San Francisco, the 2011 Lincoln MKX and crew will cruise south along the Northern California coast arriving at Old Fisherman's Grotto in Monterey. 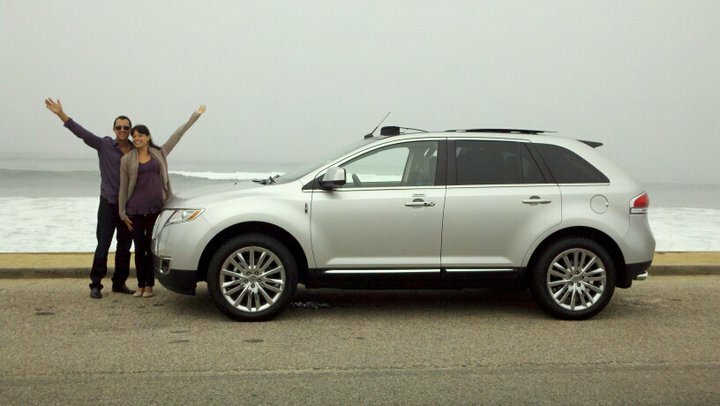 Here the hungry 2011 Lincoln MKX crew will breathe in the ocean air and enjoy some award-winning clam chowder, seafood, steak and pasta. The historic Old Fisherman’s Grotto was founded in the 1950's by Sabu Shake, Sr. One of Shake’s innovations was offering free samples of his clam chowder in front of the restaurant. Next the 2011 Lincoln MKX crew will enjoy the gorgeous and breathtaking views of the Pacific coastline on the scenic “17 mile drive” from Pacific Grove to Pebble Beach, California. The Best of California Road Trip crew may put the 2011 Lincoln MKX’s new AdvanceTrac® with roll stability control technology to the test as it hugs the winding road. After viewing Spanish Bay and the famous coastal landmark “Lone Cypress Tree”, the crew will veer inland to the rolling hills, oak trees and bountiful vineyards of Carmel Valley. The luxury crossover 2011 Lincoln MKX will meet opulence at its finest arriving at the Bernardus Winery and Lodge. Nestled in California’s beautiful Carmel Valley, the Bernardus Winery and Lodge is the epicurean creation of Bernardus Pon. 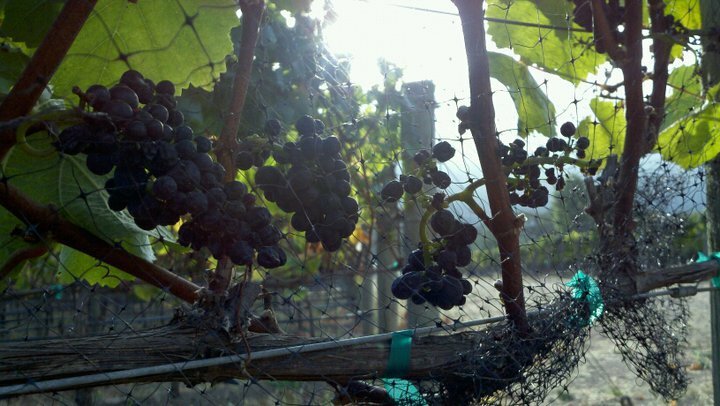 Bernardus Winery is best known for the Marinus Estate Bordeaux-style red wine, and the Marinus restaurant was voted one of Zagat's top restaurants in the Bay Area. In addition, Forbes has awarded the Bernardus Lodge, Spa and Marinus Restaurant with their prestigious 2010 Forbes Four Star Award. The 2011 Lincoln MKX crew will experience wine tasting, touring the winery, and relaxing during their visit to the Bernardus Winery and Lodge. The Old Fisherman’s Grotto and Bernardus Winery and Lodge, along with other businesses in Lincoln’s Best of California Road Trip, are in the running to be awarded the Best of California business, as voted by their fans on the California Lincoln Mercury Facebook page . The competition objective is to create local events, which will draw consumers to local businesses to hear the inside scoop on the business, experience the culture of the city, and explore the 2011 Lincoln MKX in person. The winner will be announced at the San Diego stop of the Best of California tour. Flash Point Communications is excited to announce the next in their lineup of ground-breaking social media campaigns – the Best of California Road Trip, in association with the California Lincoln Dealers. Featured in the crew are model/actress Vane Million, Scott Empringham, President/CEO of Flash Point Communications, and the 2011 Lincoln MKX. Video cameras will capture the vehicle and road-trip crew on their journey stopping in Sacramento, San Francisco, Monterey, Los Angeles, Palm Springs and San Diego. With the new era of driver connectivity, the crew will upload video and updates to the Best of California’s Facebook page, California Lincoln Mercury Facebook page and YouTube Channel. Fans will be able to vote for their Best of California business participating in the road trip on the California Lincoln Mercury Facebook page. The winner will be announced in the final Best of California stop in San Diego, CA. For over ten years, Flash Point Communications has been recognized as a leading innovator in the digital media marketplace. With an emphasis on social media and specialization in automotive advertising groups, the firm has established itself as an industry specialist serving the globe’s most respected automotive brands including Ford, GM, Chrysler, Toyota, Honda, Nissan and Land Rover. Based in Newport Beach, California, Flash Point’s 25 employees service clients from four offices nationwide. For more information, please visit http://www.flashpointcommunications.com.